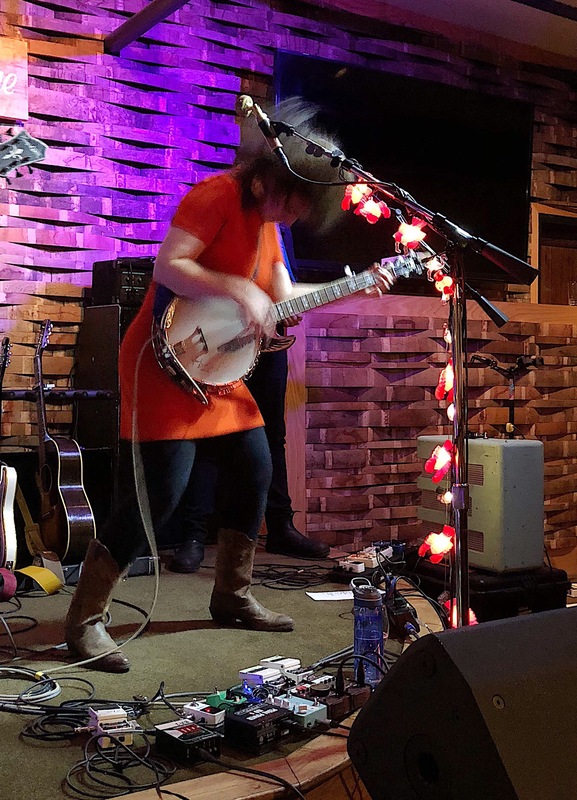 Lisa LeBlanc, rockicana shredder and master of all things stringed, played her first headlining show in Nashville recently, appearing in the upstairs lounge of the City Winery. 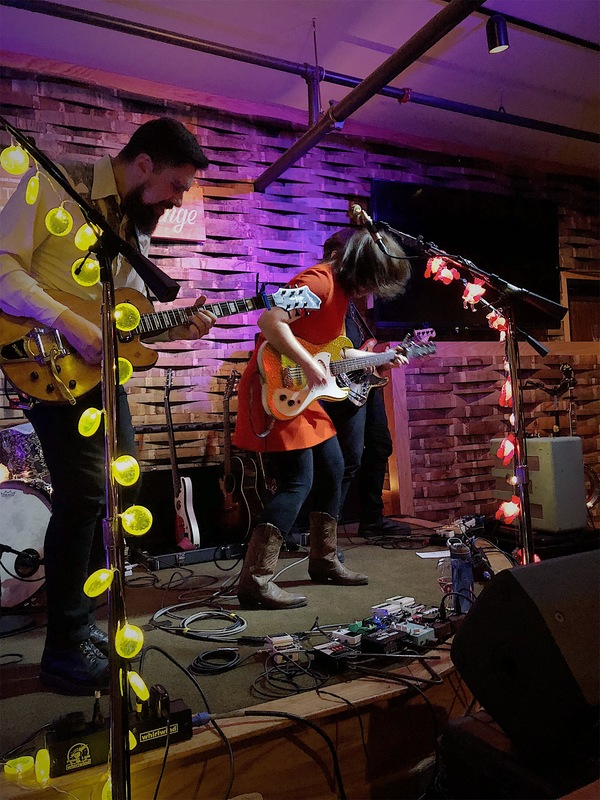 There were four players, a drum kit, microphones decorated with strings of lights in the shapes of lobsters, flamingos, and lemony yellow circles, and a music store’s worth of guitars, mandolins, and banjos wedged onto the tiny stage. 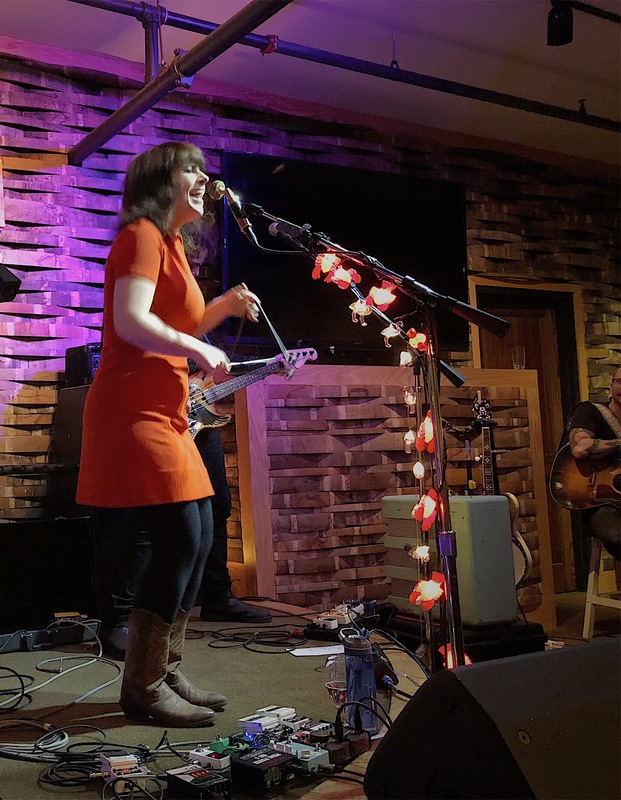 I was genuinely worried for their safety, especially since I knew this stage, or maybe even this room, might not be able to handle the energy and power of a Lisa LeBlanc performance. 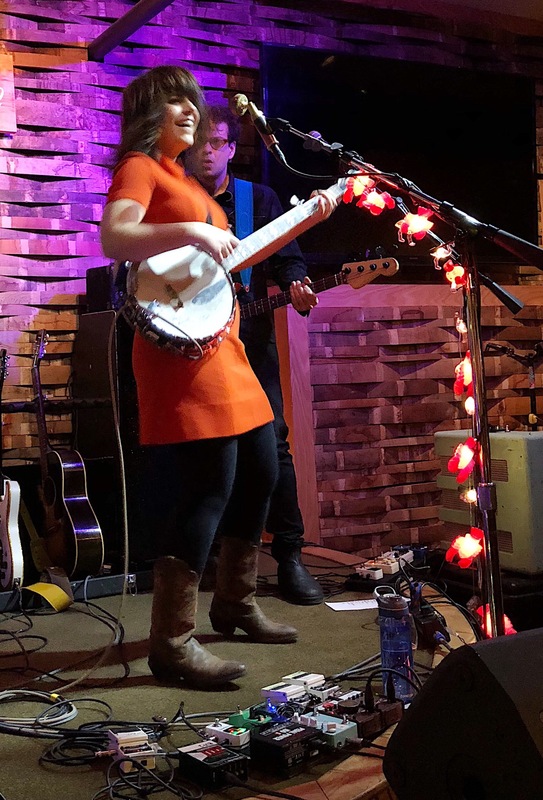 Nevertheless, LeBlanc and company wasted no time in squeezing themselves onto the platform and ripping into “City Slickers and Country Boys,” a barn-burner from her latest release, 2016’s Why You Wanna Leave Runaway Queen? LeBlanc, strapped with a gold, glittery guitar ended the song on her knees. Without missing a beat, the band roared into grunge-infused album track “Could You Wait ‘Til I’ve Had My Coffee,” where she snarls at the world’s worst lover to wait until she has her caffeine fix to break up with her—truly my kind of girl. LeBlanc then shouted out to her fellow French Canadians in the room with an “aiii-Yiiiiii!” and a phrase en français, that they all hollered back to her, which in turn made hope there was a nice French-Canadian family who would adopt me. She seamlessly segued with a four-count in French into “Chanson d’une Rouspéteuse” a.k.a. “Song Of A Grumpy Woman.” The only actual words I recognized were “Johnny Cash,” but music is the universal language, and rock n’ roll in French is still rock n’ roll. 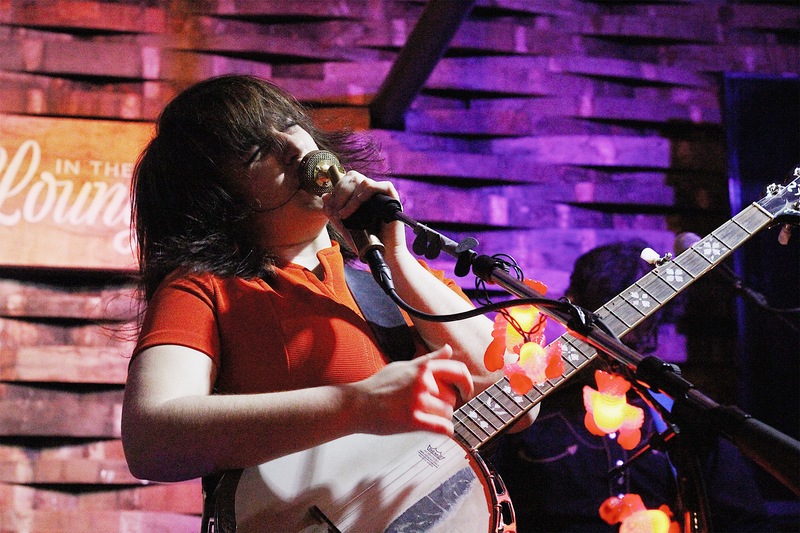 Moving onto what she called “the banjo portion of the show,” our (s)hero grabbed one of two or three she had handy, and treated us to a solid folk song, “Katie Cruel,” from her 2014 EP Highways Heartaches and Time Well Wasted. LeBlanc’s voice powered across the room, gracing our ears like velvet edged in grit; the bass was melodic, the guitar was searing, the drums were driving, and they were all in beautiful synergy. Just when we thought we were onto her tricks, she declared, “It’s triangle time!” and told us a story about pilgrimages made to Louisiana to study Cajun music and celebrate her Acadian heritage. 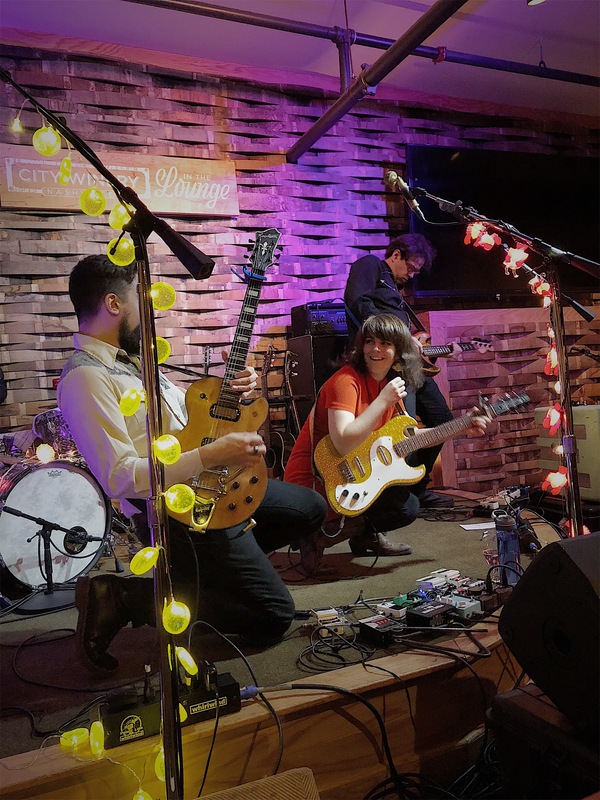 “Playing triangle is living the dream, that you can be in the band and be a triangle player,” she said with a laugh and tore into a tune about a boy who stole her car, a shining example of her endearingly frank lyrical style. The patrons in the back of the room began to get rowdy (which is somewhat uncharacteristic in venues that aren’t located amidst the noise on tourist-heavy, honky tonk-laden Broadway) but LeBlanc wasn’t rattled, she rolled, and set the stage on fire in a frenzy of heat and hair-slinging with my personal favorite, “Ace Of Spades.” Of course, we demanded an encore, and she graciously obliged with a singalong followed by a love song about Kraft Dinner, because who wouldn’t memorialize their devotion to the deliciousness of mac n’ cheese? “You choose your battles, eh?” she said with a laugh. 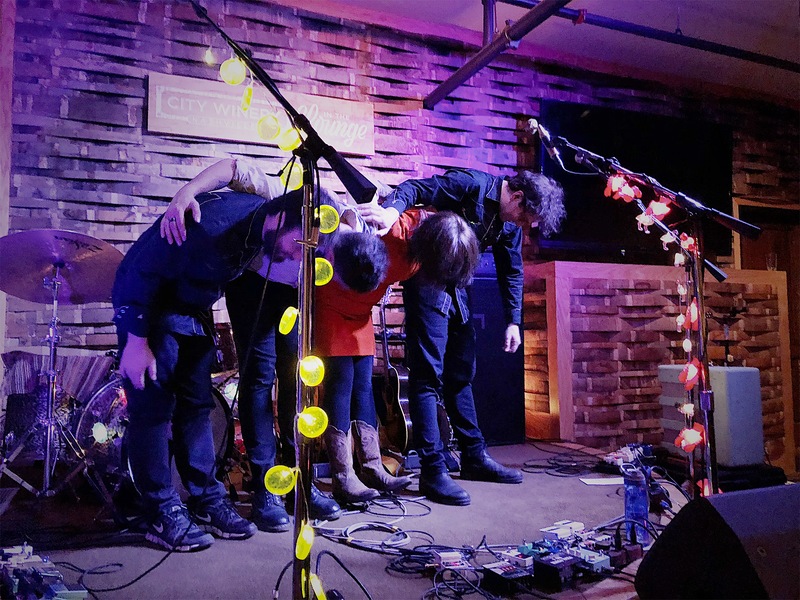 Thank you for an amazing show, Lisa LeBlanc. We hope you’ll be back soon.